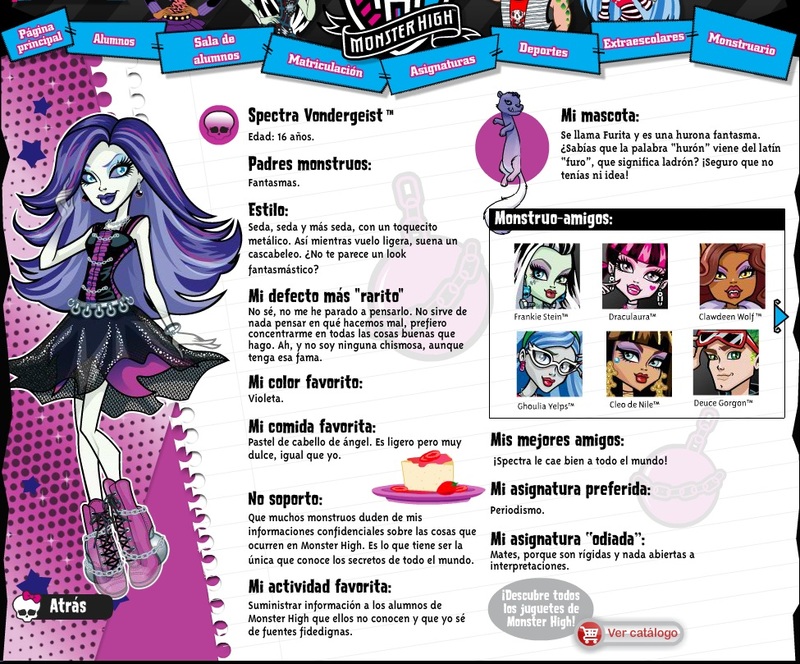 ¡Una nueva entrada en el blog dedicada a las muñecas más monstruosamente guapas, las Monster High! Hoy toca la fulce y fantasmagórica Spectra Vondergeist con su mascota Furita. La hija de los Fantasmas. como siempre, dejamos imágenes de las muñecas en la más alta calidad posible y las biografías oficiales. Spectra Vondergeist, es hija de fantasmas . Su estilo es seda, seda y más seda, con un toquecito metálico. Su mascota se llama furita y es una hurona fantasma. 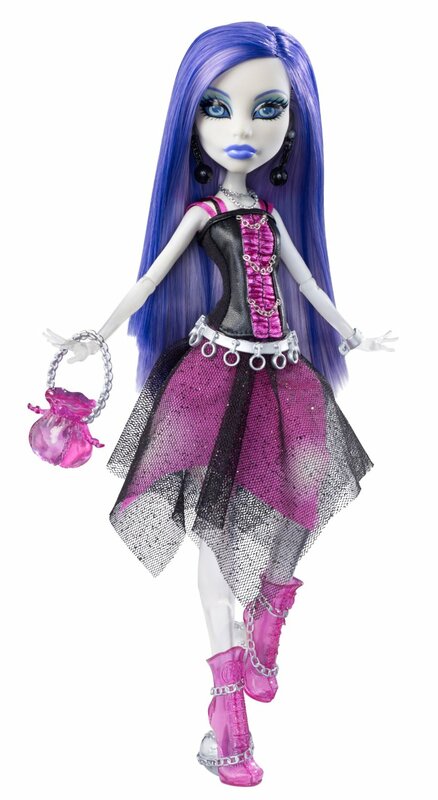 Monster High Spectra Vondergeist Doll: The ghouls from Monster High are freakishly fabulous. 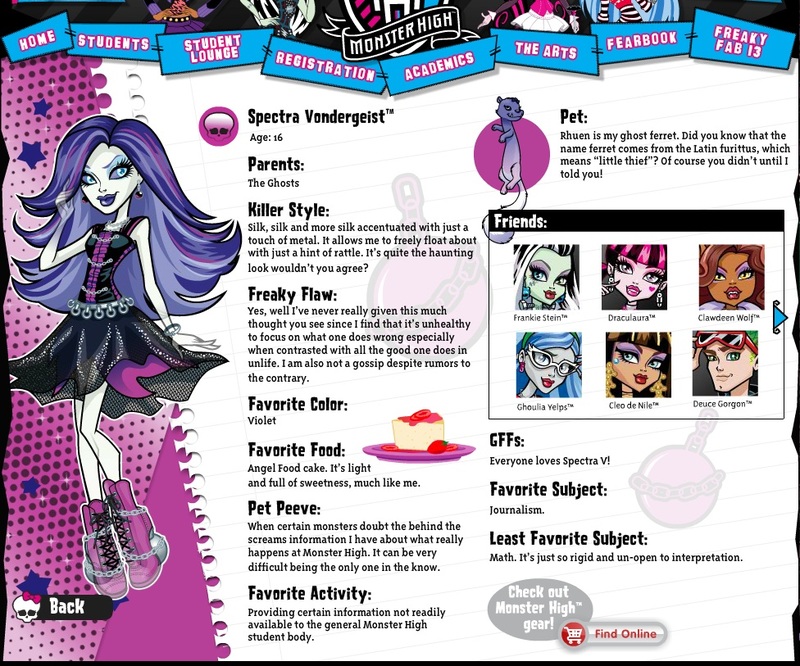 The kids from Monster High are the coolest ghouls in school with their fashions, accessories and scary cute pets. 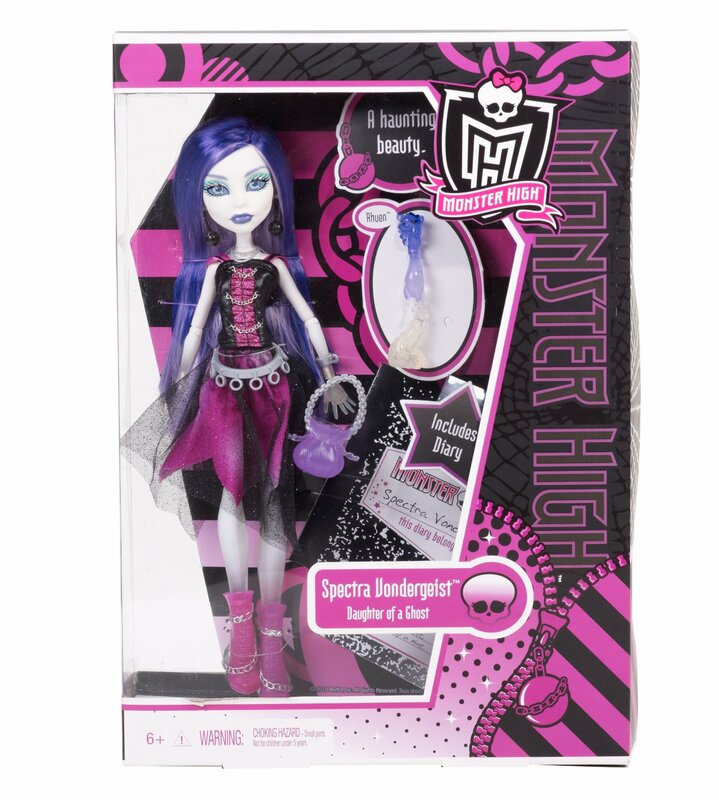 And now there is a new ghoul at Monster High, Spectra Vondergeist who is making a scary good impression. Spectra Vondergeist is the daughter of the Ghosts and she can float through the walls with an uncanny ability to overhear school gossip. Spectra would be lost without best friend and sidekick, Rhuen a Ghost Ferret that's always getting to mischief. Spectra Vondergeist doll is fully articulated so she can be posed in many different ways and includes pet Ghost Ferret Rhuen, doll stand, brush, diary and accessory. The teenage children of the legendary monster menaces have gathered together under one roof to attend high school at Monster High. These ghouls are wild, they're fierce and they're totally trendy. They've left their parents' outdated haunting habits behind to form a killer style all their own. When you see them you'll just have to gasp "Drop dead gorgeous". Collection all your favorite Monster High Dolls. Each doll sold separately.